Quite a few years ago, I printed out a tutorial for a tech bag. The creator called it a tech bag because she wanted a bag for her charger cords. I wish I could find the tutorial for you, but it is an extinct website. I have, however, finally gotten around to making the bag. I am going to use it for the same purpose…to hold the phone and the charger cord. And it is roomy enough to add a wallet and keys, too. I am continuing to use up the scraps of hand-dyed fabric by making boxy bags. You can find the tutorial for the boxy bags in my previous post. I have made a couple more bags that are not pictured here. I have also made zip pouches, one for each bag. 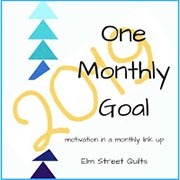 I found a basic tutorial over at Elm Street Quilts. I plan on keeping a couple of bags for personal use (I’ve got a trip to Hawaii coming soon!). The rest of the bags will be Christmas gifts. I am going to fill them with goodies for the grandkids…the bags are the Christmas wrap! It is going to be fun finding items to fill the bags! I still have a lot of squares left. I have thought to make pot holders (I do need some), pincushions, and other small items. Frankly, I’m tired of these squares! Ha, ha! So I am giving them to some creative young ladies. And I feel great…I am actually thinking ahead for Christmas! No stress! I was blessed with a glorious three days off! What to do, what to do? It isn’t that I don’t have anything to do, it is that I am behind on anything and everything. Three days is precious…I don’t want to waste it. So I began cleaning/reorganizing my sewing studio. I say began, because…well…it quickly became overwhelming. So instead, I cleaned just enough to work on a project. Ha, ha! I found a small tote full of 6″ squares of hand dyed fabric. This stuff is old and I want to use it up and empty the tote! Therefore, I cut the 6″ squares into 3″ squares and really filled up that tote. Sheesh! I’ve been wanting to make boxy bags for quite a while. An upcoming trip to Hawaii (2 more months and I’m there!) is just the push that I needed. Pink Stitches has a great tutorial for these boxy pouch bags and it is easy to change the size if one wants to (which I did). I’ll be making more of these. They will make nice gifts. And I’ve barely made a dent in that tote of hand dyed squares! Ever since I saw a few of these tv tray makeovers on Pinterest, I have wanted to make one for myself. So this week, I took the time (which wasn’t much time at all)! A portable ironing table is mighty handy to take to quilting classes. It is also handy to have next to the sewing machine if your normal ironing surface is across the room and too big to move. Or maybe handy to use while watching tv in another room. Or maybe handy to take along on a road trip. This is a simple little makeover to do. There are other tutorials (search google and Pinterest) but Elizabeth Hartman, over at Oh, Fransson! did a nice job of explaining how-to back in 2010. I have had the Valencia Street Bike Basket tutorial link saved on my Pinterest for quite some time. My two granddaughters are six and five years old…new bike riders. I’ve decided the time has come to make the bike basket. Palak Shah’s tutorial is easy to follow and the basket is quick to make. You could make it without the ties and just have a nice basket. Or you could add ties to every corner and just leave them tied as bows for a decorative touch to the basket. The basket doesn’t have to be used for a bike. It could be a useful room decoration. I don’t have a bike, so I couldn’t tie the basket to the handlebars to show to you, but you get the idea. My granddaughters will be getting these for Christmas. I have a special friend whose birthday is in December. So I made a fabric birthday card to send to her. Notice I stayed away from a Christmas theme even though she is a December baby. Her birthday is her own day, not to be celebrated with Christmas. I covered up her name and address with my pincushion. Mustn’t spoil the surprise. There are lots of fabric postcard tutorials online. Although I’ve made lots of these easy postcards, I googled just to see what comes up. Here’s a couple to get you started. Kathy, over at Pillows-A-La-Mode, shared a fabulous gift idea for children (Do I qualify?) and I thought ya’ll might want to know about it. Check out her Art Jars post! These not only make great gifts, but grandparents could keep these on hand for those special visits!